This groundbreaking book presents compelling narratives and innovative approaches for addressing the psychological traumas that can underlie homelessness and is the first to explore in-depth what the US and UK can learn from one another. Authors focus on understanding and applying the precepts of Pretreatment and "Psychologically Informed Environments," as well as effective ways to promote productive dialogue on all levels ¾ with clients, clinicians, advocates, policy makers, researchers, and others. Detailed case studies review and integrate "hands on" practice with Appreciative Inquiry, Open Dialogue, and Common Language Construction methods. 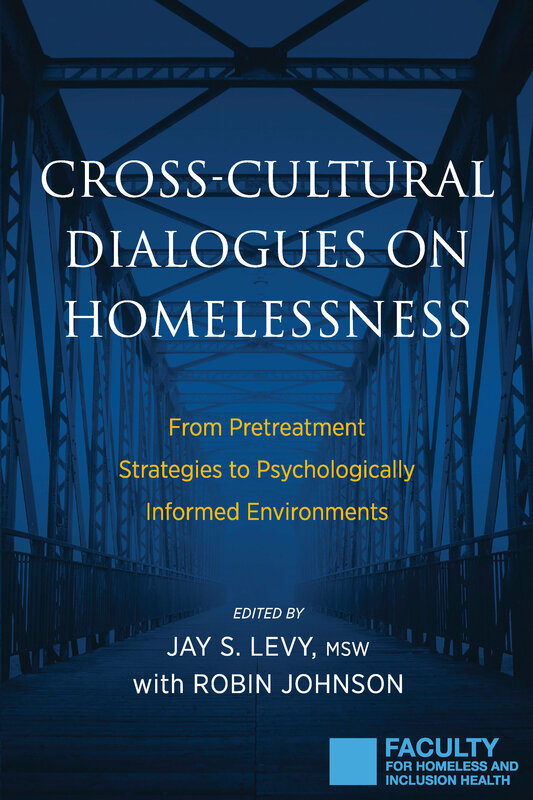 "In Cross-Cultural Dialogues on Homelessness, Jay Levy and co-authors provide the conceptual tools, the hitherto 'missing language', needed by practitioners and policymakers working with excluded individuals. This book has been informed by the authors' practice and should come with a warning: it will revolutionise how you work -- irreversibly and, undoubtedly, for the better"
"Jay distills many decades of his own street experience, and by cross comparing his brilliant schema of Pretreatment with the British model of Psychologically Informed Environments (PIE), he reveals the underlying common processes of effective street engagement. As a long-time practitioner of street medicine, I recommend this book to anyone who seeks that sacred place on the streets where healing begins." "Cross Cultural Dialogues on Homelessness is a timely and important collection of the latest thinking on how we should respond to the traumatic life experiences of so many homeless people. Levy and colleagues suggest a commitment to reflective dialogue will improve both the quality of frontline services and the way policy makers, managers and commissioners think about responding to the needs of people pushed to the margins of our societies."